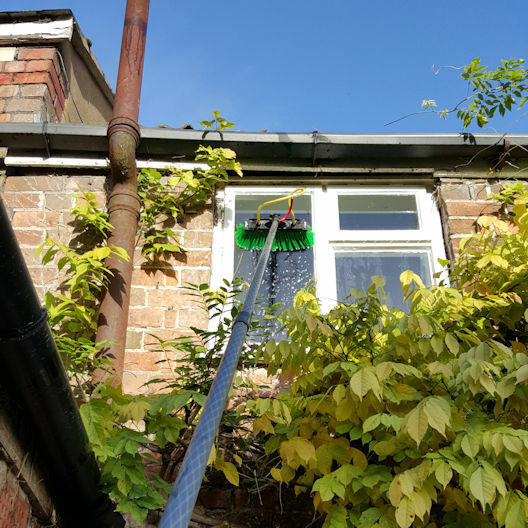 We primarily use two methods of window and frame cleaning – the traditional style (using a ladder up to the 1st floor) and the 'Reach 'n' Wash' method (which cleans up to 52ft above ground level). These both leave your windows clean and sparkling. We can also use cream cleaner for a bright finish on frames and sills. However, we understand that every job is different, which is why we use a selection of other tools depending on the project requirements e.g. 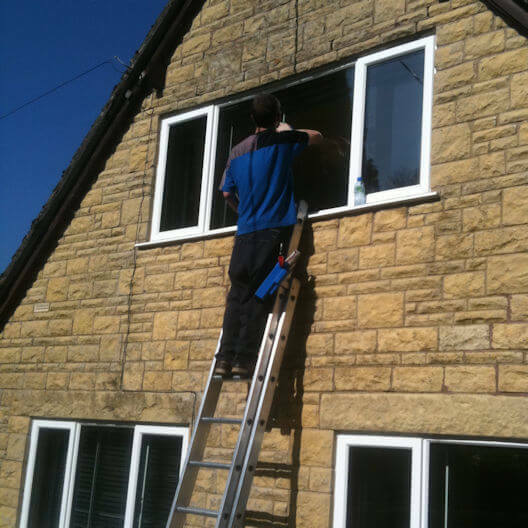 using a sill brush to clean plastic frames or using a gentle, traditional clean on paint-flaked windows. 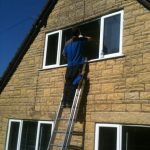 We can set a plan for a clean on any type of window including stained glass, aluminium frames, flaked-paintwork frames, delicate mouldings and stone-set windows. We have the correct tools and techniques to remove paint splashes, hard water marks, light scratches and resin deposits. 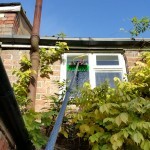 We can also use a solvent to remove more stubborn scratches, cigarette burns, insect larvae and paint spray from uPVC. With every clean, we will wash out any dirt or debris that may be blocking your drainage channels. This helps to give a cleaner overall finish. Our customer-focused service is designed to work around your needs and expectations. So, whether you want a one-off window cleaning service or regular maintenance is up to you! We will never tie you into a contract and we will always text you the night before an appointment to confirm that it is still convenient. We can also arrange access to the property at this time. If you aren't happy with the results, we guarantee that we will come back out free of charge to fix any problems. Please give us a call or contact us using the details provided to find out more! 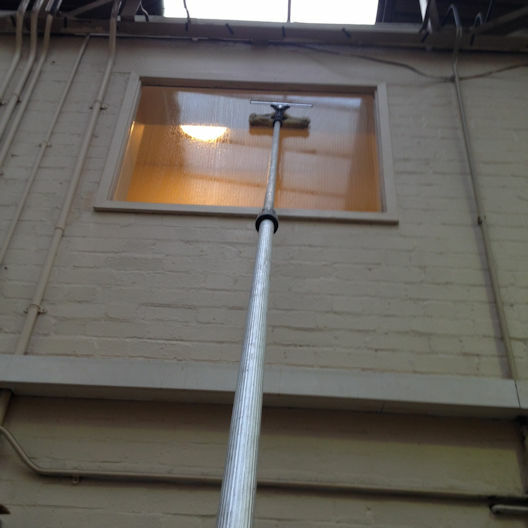 query or A question in regards to your window cleaning requirements.